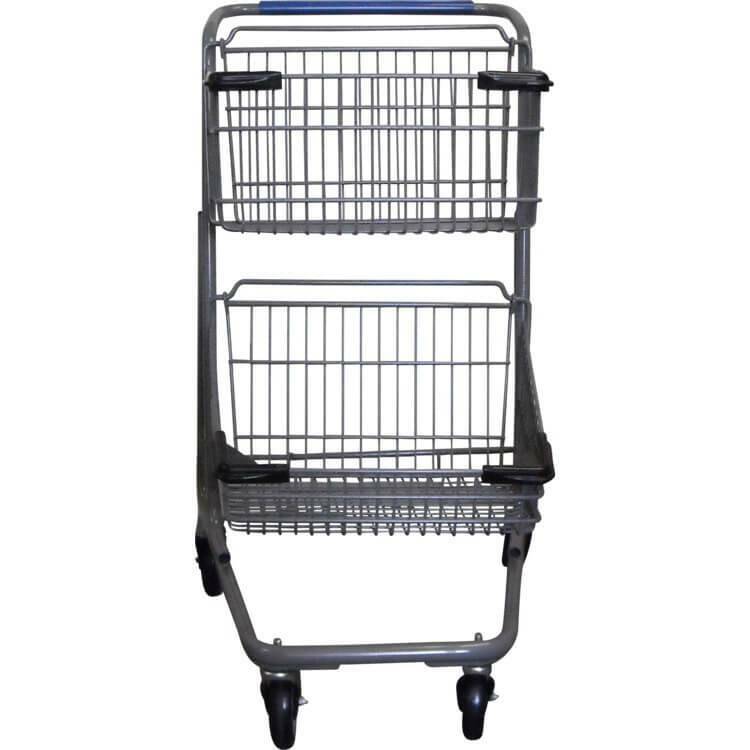 This shopping cart is the Recoated Technibilt Model 5341. 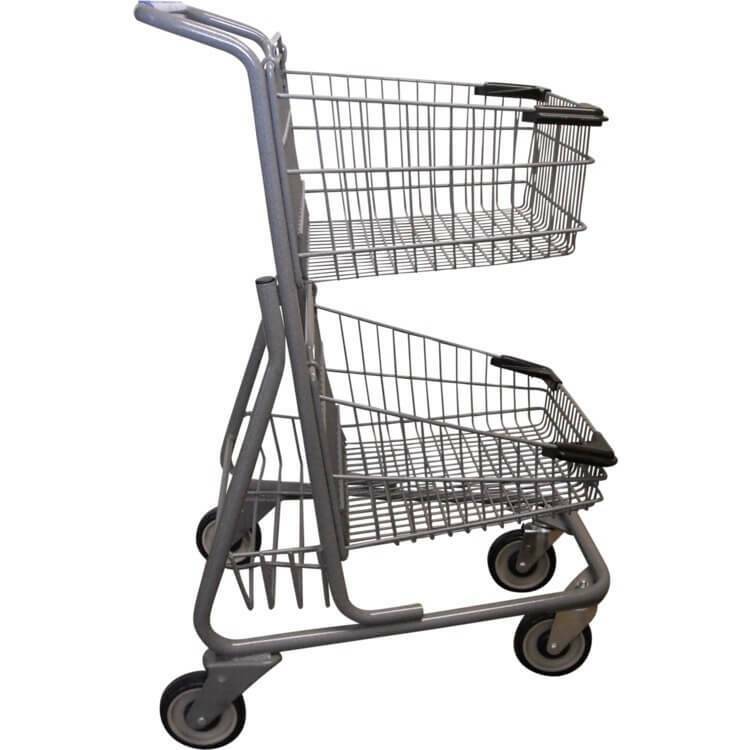 This shopping cart is the Re-manufactured Technibilt Model 5341. 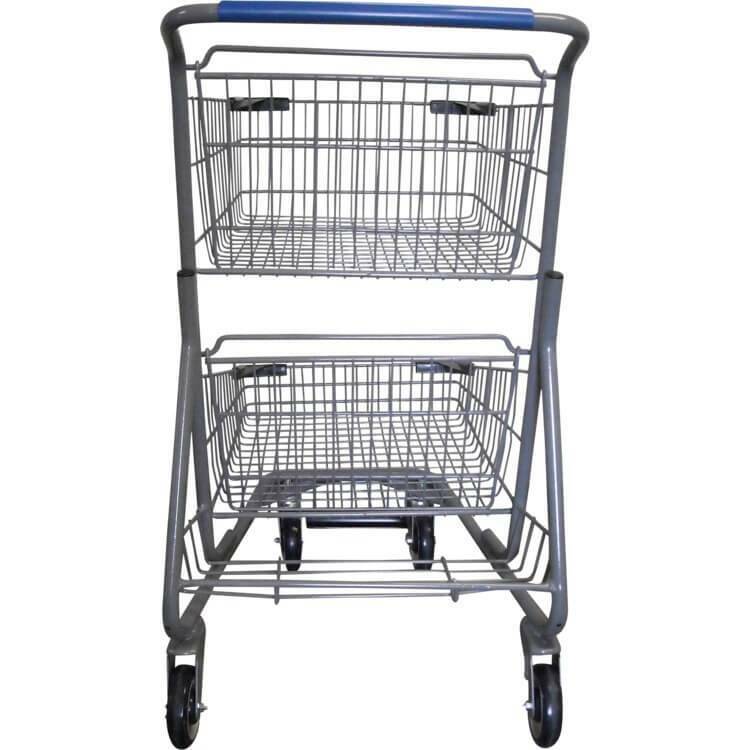 This cart features all new wheels, a printed handle, and new bumpers.The re-coated cart will have been sand blasted and powder coated. 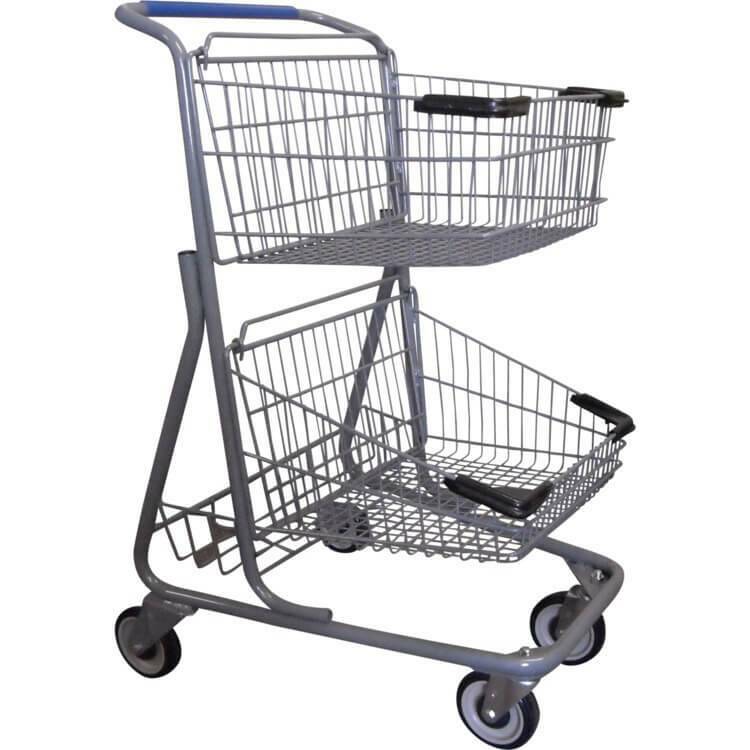 This cart comes with a 1 year warranty. 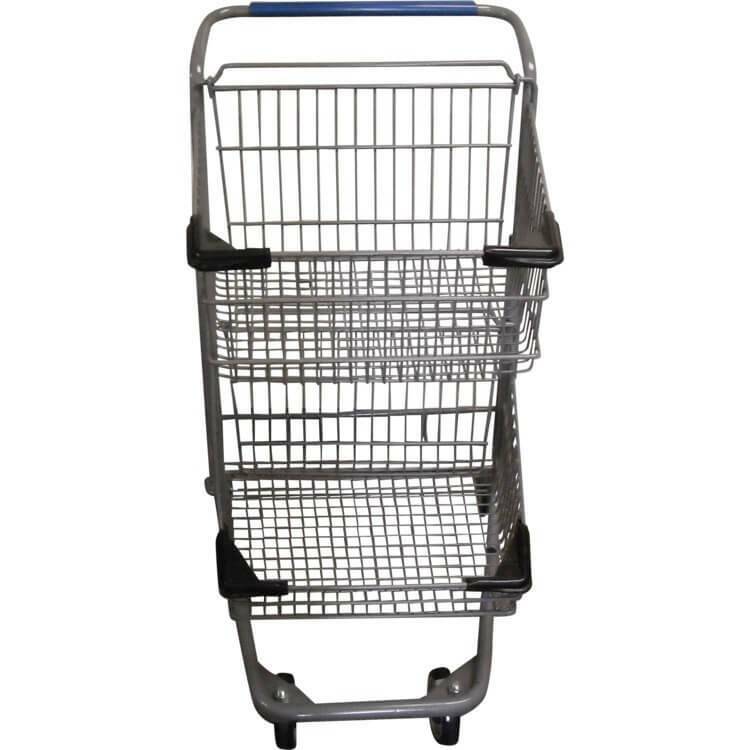 Length of top basket: 17.5"
Length of Bottom basket: 18.5"
Printing only on a minimum of 4 carts. $25.00 set up charge then $3.50 per cart.